We would like to wish a very Happy Birthday to the legendary Gene Simmons. 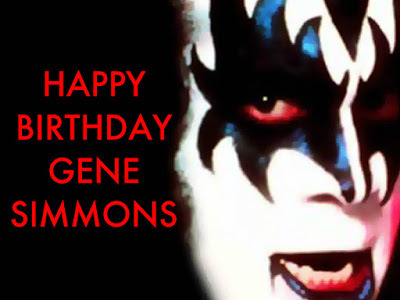 Have a great day, Gene! This Week In KISStory - August 18, 1980: KISS appear on the cover of "People Magazine". 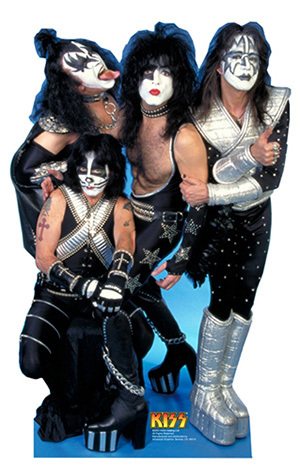 The cover story of KISS was titled "KISS and Gene Simmons Head Into The '80s Fighting to Save Face—and a Nine-Digit Empire". 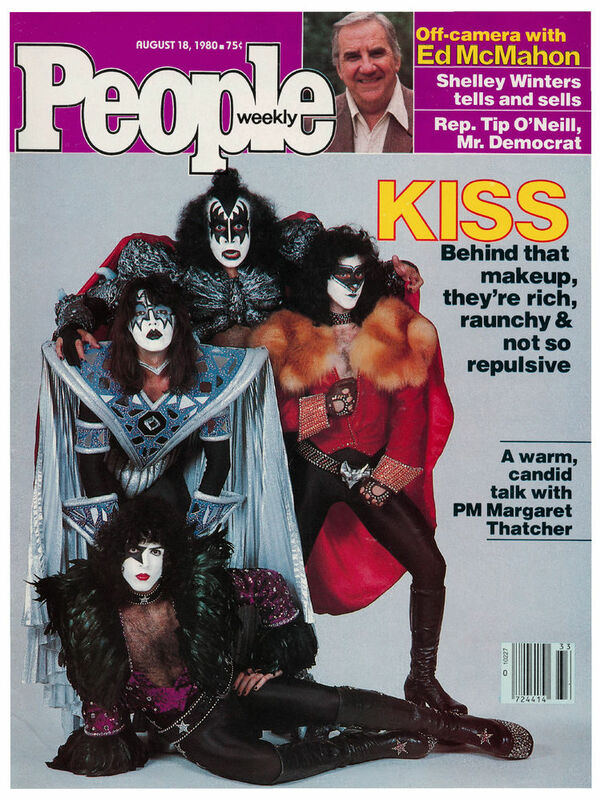 Read the 1980 People Magazine cover story on KISS HERE. 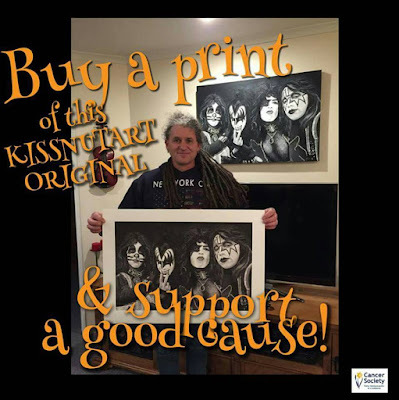 Grant Armstrong: "Hi there guys, my name is Grant Armstrong from New Zealand and you have featured a couple of my paintings on your site before, I was wondering if you could possibly give a push on the website for fundraiser that I'm doing for the Cancer Society of New Zealand? 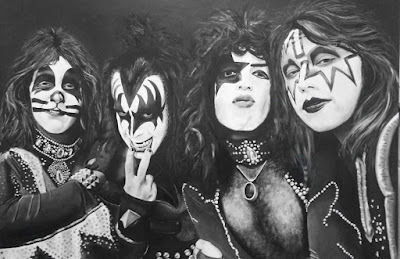 It's a limited edition of 50 fine art prints of KISS. 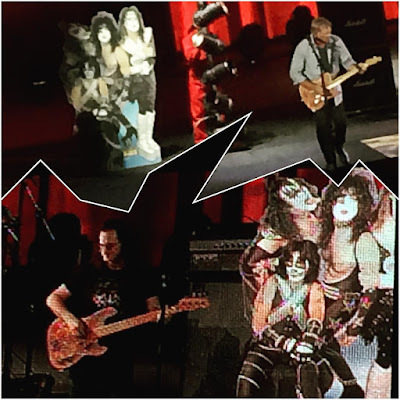 I would be ever so grateful to get some good exposure for my campaign, thanks so much , regards Grant"
Canadian rock band RUSH recently paid tribute to KISS on their R40 Live Tour 2015 by having a KISS cardboard standee on the side of the stage when they played their encore at Irvine Meadows Amphitheatre in Irvine, California on Thursday, July 30, 2015. 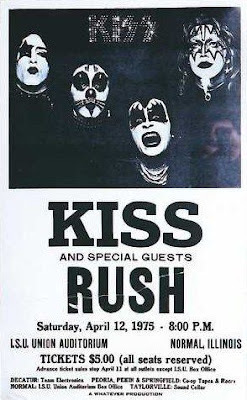 According to a few fans that were at this show, Eugene Levy's SCTV character "Rockin' Mel Slirrup" introduced RUSH onstage for their encore as an opening act "that opened twice for KISS." RUSH toured with KISS as opening act during 1974 and 1975. See video of RUSH with their KISS standee on stage at Irvine Meadows Amphitheatre below (30 second mark of video). Thanks to Sebastian Bach for the photo.